English style teapots for serving a crowd! English style teapots range from big 8 cup (48 oz.) teapots to jumbo teapots holding nearly 12 cups ( 70 oz.). 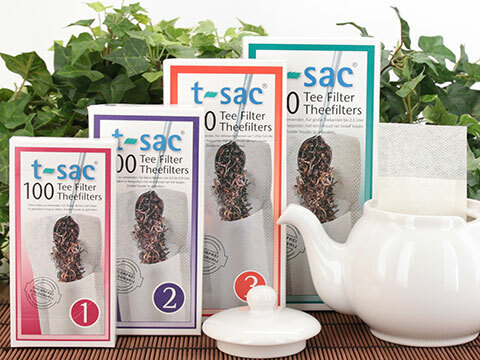 The 48 oz Brown Betty style teapots require a large size Tea Quilt tea cozy, ordered separately on this site. The 70 oz. teapots and the Chatsford 10 cup teapots need a custom sized Tea Quilt tea cozy, which will include a custom sewing charge. 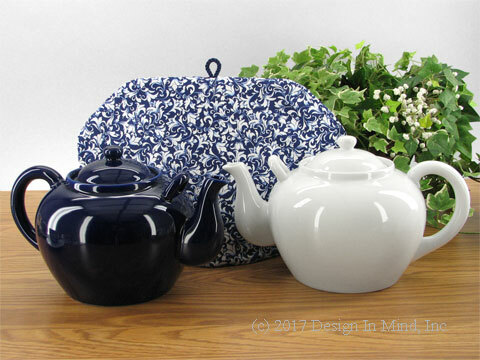 Contact devotea.com if you wish to order a cozy for either of those size teapots. 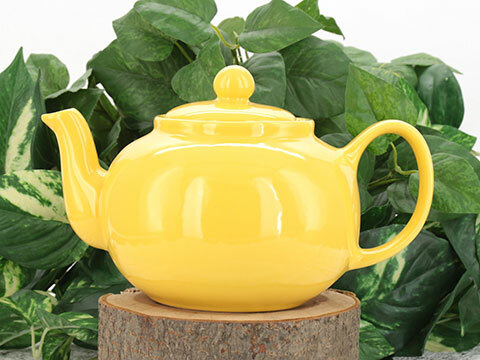 Wonderful "Brown Betty" style teapot in yellow. Stoneware, made in China. Use a large size Tea Quilt Tea Cozy. 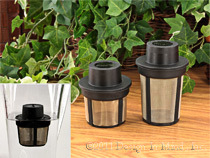 Accepts the Finum large infuser. 48 oz. 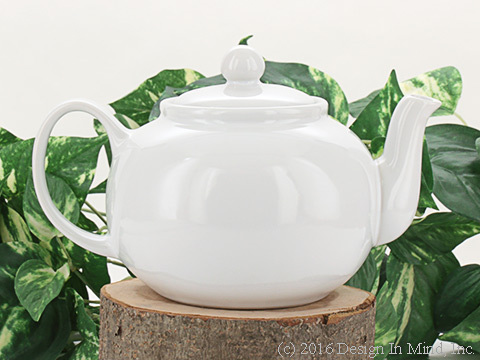 Wonderful "Brown Betty" style teapot in white. Stoneware, made in China. Use a large size Tea Quilt Tea Cozy. Accepts the Finum large infuser. 48 oz. 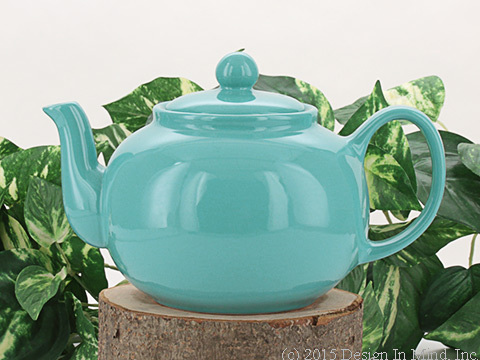 Wonderful "Brown Betty" style teapot in turquoise. Stoneware, made in China. Use a large size Tea Quilt Tea Cozy. Accepts the Finum large infuser. 48 oz. 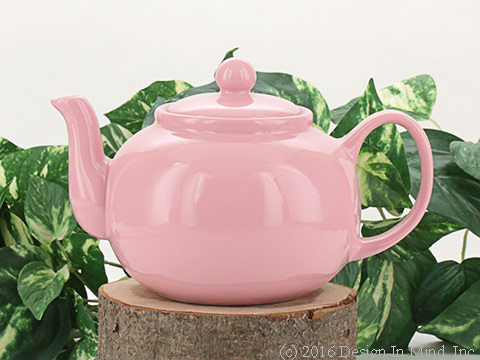 Wonderful "Brown Betty" style teapot in rosey pink. Stoneware, made in China. Use a large size Tea Quilt Tea Cozy. Accepts the Finum large infuser. 48 oz. 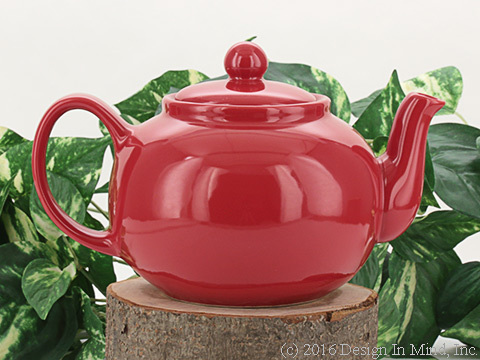 Wonderful "Brown Betty" style teapot in cherry red. Stoneware, made in China. Use a large size Tea Quilt Tea Cozy. Accepts the Finum large infuser. 48 oz. 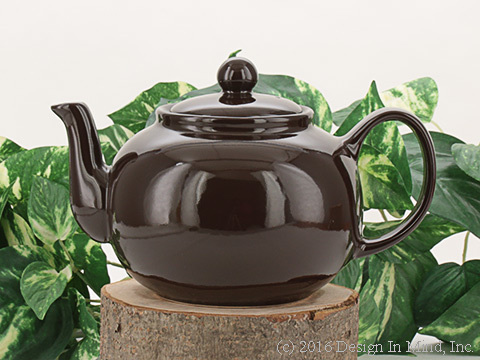 Wonderful "Brown Betty" style teapot in dark brown. Stoneware, made in China. Use a large size Tea Quilt Tea Cozy. Accepts the Finum large infuser. 48 oz. Wonderful "Brown Betty" style teapot in bright orange. Stoneware, made in China. Use a large size Tea Quilt Tea Cozy. Accepts the Finum large infuser. 48 oz. 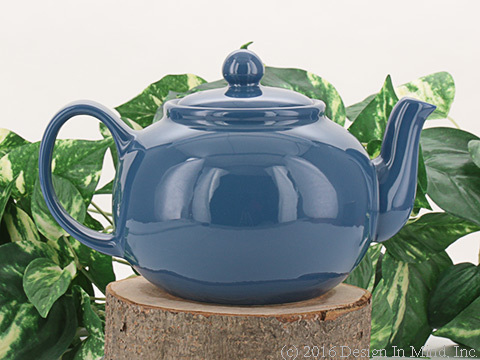 Wonderful "Brown Betty" style teapot in medium blue. Stoneware, made in China. Use a large size Tea Quilt Tea Cozy. Accepts the Finum large infuser. 48 oz. 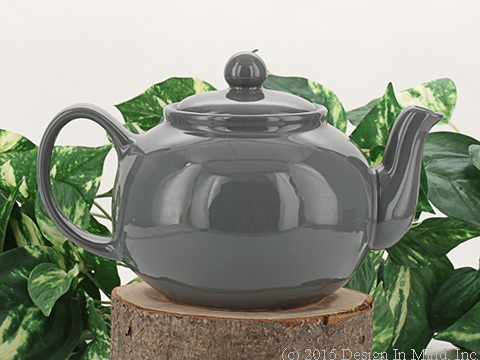 Wonderful "Brown Betty" style teapot in stone grey. Stoneware, made in China. Use a large size Tea Quilt Tea Cozy. Accepts the Finum large infuser. 48 oz. 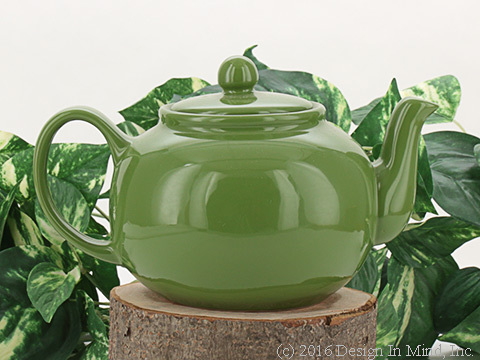 Wonderful "Brown Betty" style teapot in leaf green. Stoneware, made in China. Use a large size Tea Quilt Tea Cozy. Accepts the Finum large infuser. 48 oz. 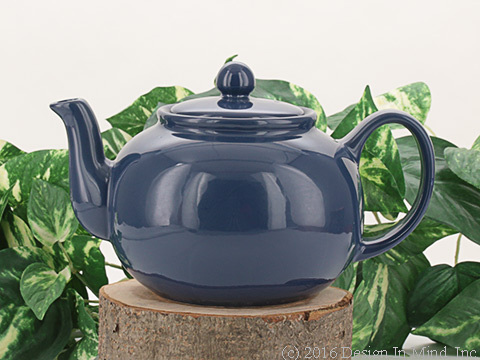 Wonderful "Brown Betty" style teapot in dark blue. Stoneware, made in China. Use a large size Tea Quilt Tea Cozy. 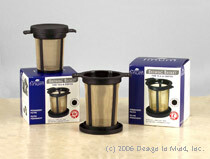 Accepts the Finum large infuser. 48 oz.